Gib Thomas, as the story is told, was born in New Orleans around the turn of the 20th century. Early on it was obvious that he had drawing talent and at the tender age of 14 he left home to make his own way in the world. Somewhere along the path he picked up the art of tattooing which he stayed with for the next fifty years. It has been said that his needle-name "Tatts" was given to him while on the Ringling Show in 1917. In the 1960s the magazine Escape To Adventure stated that Thomas had traveled over much of Europe, and boarded vessels in Rotterdam, Hamburg, Antwerp and London leaving his mark. After traveling the world, Tatts Thomas settled down and made a name for himself tattooing in Chicago. He worked at several locations, including #414, #430, and #600 South State Street, #13 West Harrison, (just off State Street) and with Cliff Raven at #900 West Belmont. 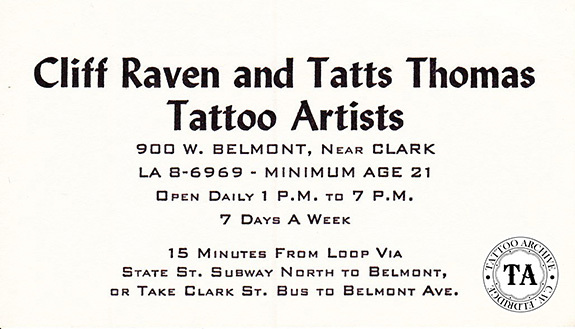 In the early 1960s when Chicago raised the age limit for tattooing to 21 most of the tattooists left the city, but not Tatts. He stuck around for a while longer. Later he tattooed at #5108 6th Avenue in Kenosha, Wisconsin with Greg May and with Amund Dietzel at #304 West Wells Street in Milwaukee. 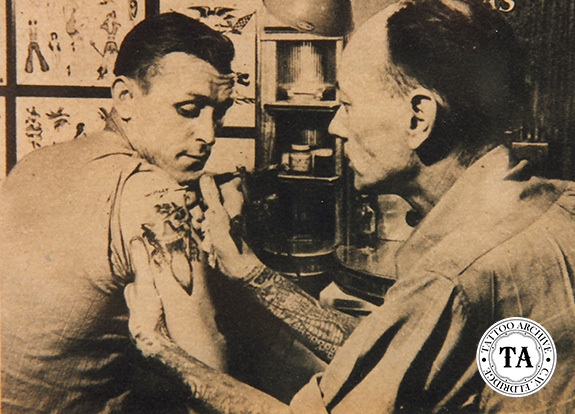 In the 1920s a very young merchant seaman named Norman Keith Collins, (known later as Sailor Jerry), came off the Great Lakes and started tattooing in Chicago. One of Jerry's business cards has survived from that time and it shows him at #434 State Street. 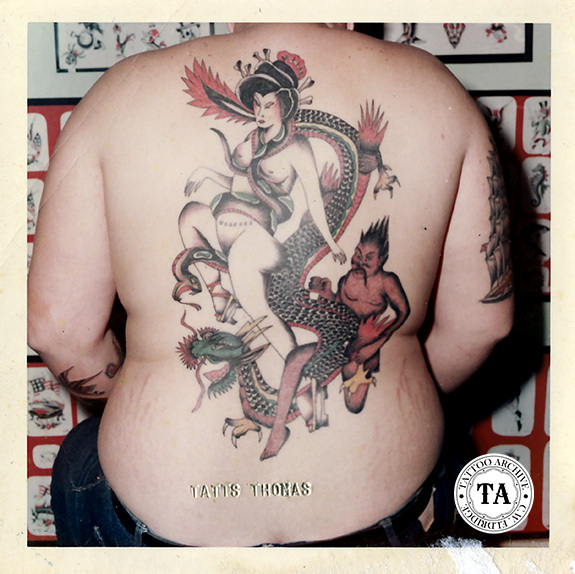 Sailor Jerry credited Tatts Thomas as one of his early teachers. Jerry said that Thomas showed him the ropes of machine tattooing. They continued to correspond through the years and Thomas visited Jerry in Honolulu in 1969. Tatts Thomas worked for many years in Chicago with Ralph Johnstone who was a tattooist that doubled as a sideshow banner painter. Unlike Thomas' flash, much of Ralph Johnstone's flash has survived and it shows his considerable skill as an artist. 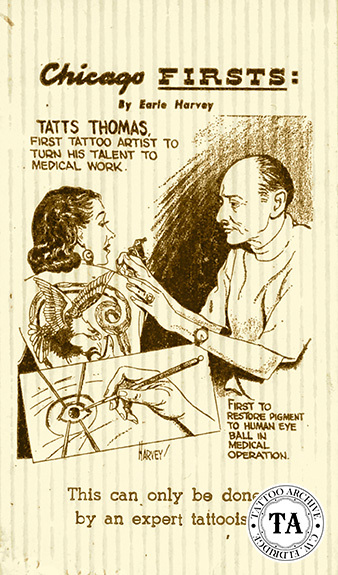 Throughout the years Tatts Thomas received a lot of press in newspapers and men's magazines and often Ralph Johnstone paintings would be credited to Thomas. 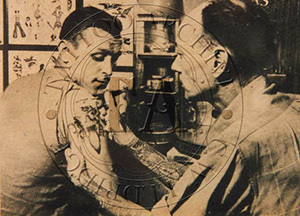 In his later years Tatts Thomas worked with Amund Dietzel, "The Master of Milwaukee". In 1966 the city fathers of Milwaukee decided to outlaw tattooing and force the four tattooists out of town. The 1960's were a bleak period for tattooing in the United States with many cities making it illegal to tattoo for various reasons. Tatts Thomas summed it up well when he said, "If Milwaukee bans tattooing what has the city got? It lost the Braves, now tattooing, all its got left is the old clock in the tower of the railroad station."